I’ve been lucky enough to volunteer at Bluebells school these past 6 weeks, on an Outreach International programme. It’s been the most wonderful and enriching experience – from learning what motivates the children and staff, to helping them realise ‘Project Tomato’ and secure funding for that. I was thrilled to hear about the Sports equipment donation, thanks to Nicki from the Rob Stephenson Trust and as this was my last day at the school – and the children’s first day back after a month’s holiday – I was determined to maximise their use of the equipment, as well as give them all different ideas for games to play and how to use it all. Nothing prepared me for the joy it gave them. Every time I took a piece of equipment out of the bag, they cheered and clapped – it was like Christmas on replay over and over again! The first thing we did was to split into 2 teams and put on the red and blue bibs. I then explained to them how to play rounders, which was lots of fun as this was a completely new game for them! They had never played it before, and they picked up the essentials very quickly. I also included the teachers, so that they can continue to play this in the days to come. Of course everyone knows how to play football, and we’re lucky with the space and the grass pitch at the school. When the older children were playing football, I took the younger ones and did some simple throw and catch games with the tennis balls, to improve their hand/eye co-ordination. I also did a little bit of simple yoga and stretching with them, which was also well received. I want to personally thank the Rob Stephenson Trust for donating this equipment and I felt very privileged to be able to introduce the equipment to the children. With my experience of having done sports coaching with children in the past, I know how vital sport is, in a child’s overall development – fostering team work, trust and friendship. 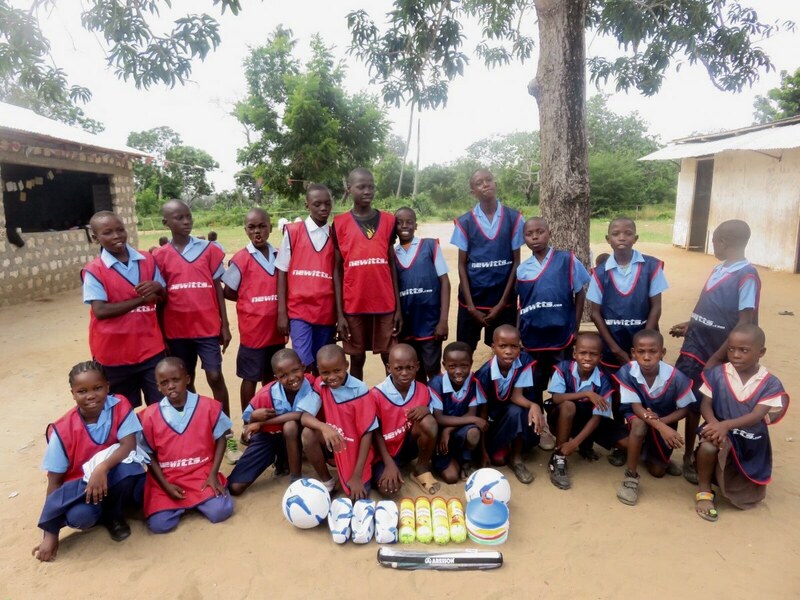 So on behalf of all at Bluebells School, a BIG ASANTE to the Rob Stephenson Trust for this most generous donation.